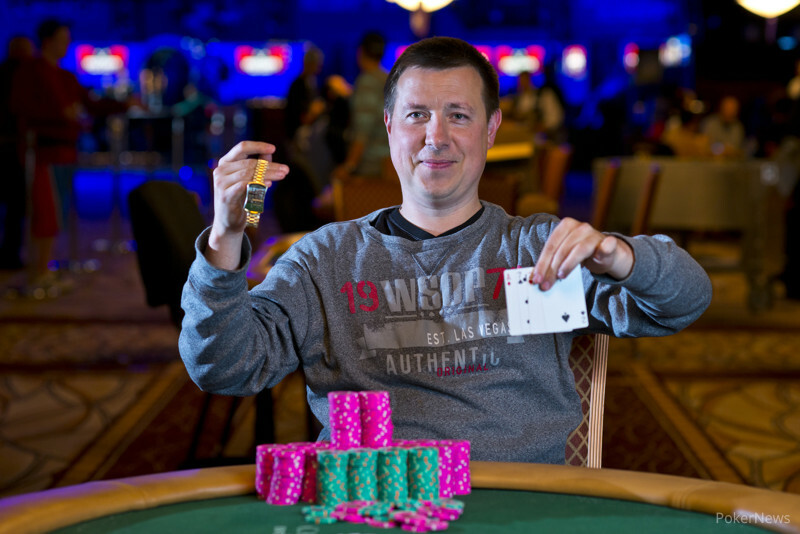 Ashly Butler put Vladimir Shchmelev all in on a flop of . He called. Butler was ahead with a pair of tens and a flush draw, while Shchmelev had a better low draw and a better straight draw. The turn was a , changing nothing and leaving Butler in prime position to scoop the pot and enter heads-up play with a huge lead. However, the river came , and though Butler initially thought he was chopping with a straight against Shchmelev's low, Shchmelev had the better straight with a nine-high one, so he scooped Butler and grabbed the chip lead.